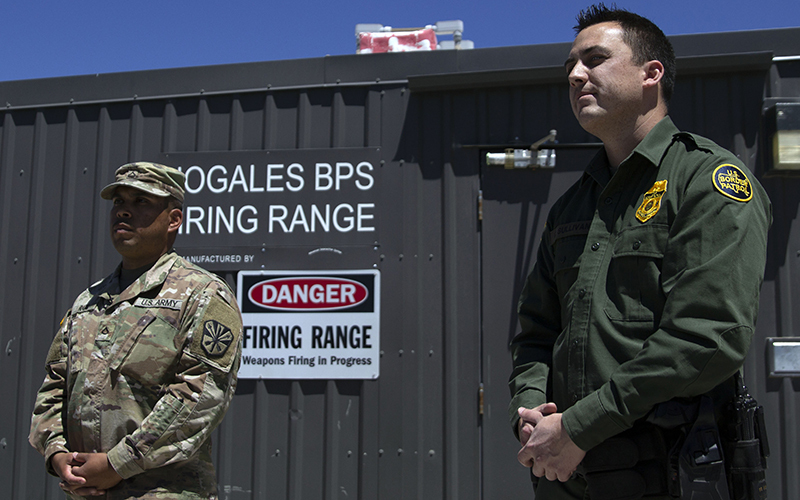 NOGALES – Partnering with the Arizona National Guard has allowed Customs and Border Patrol agents to survey bigger swaths of the Mexican border using fewer agents, freeing them to focus on securing the border itself and recruiting more agents, immigration officials say. Daniel Hernandez, public affairs officer for the Tucson sector of U.S. Border Patrol, said Tuesday that since the Operation Guardian Support began April 9, CBP has gained the manpower it needs to better do its job along the border. “It was a benefit because having a greater amount of people helping us no matter what the job is, obviously in non-police roles, non-immigration enforcement, non-drug enforcement, the support roles, even that’s a great help for us,” Hernandez said. 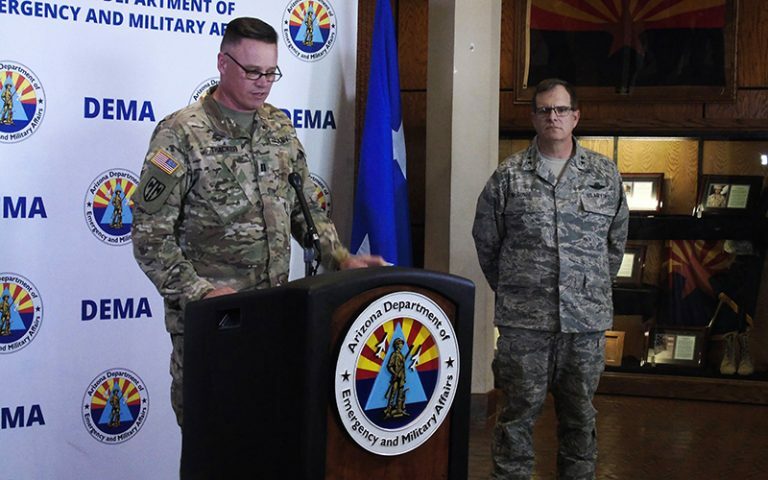 The deployed guardsmen are men and women from across Arizona who voluntarily agreed to be a part of Guardian Support, which was announced in April. Roughly 400 troops have joined so far, but officials hope to eventually reach the approved number of 682 before the operation ends in September. Video surveillance is one of the primary areas where the state-federal collaboration is most visible: 240 of the 400 guardsmen are monitoring the scores of cameras trained on the border. Putting the guard into the CPB’s command and control rooms, along with the simultaneous introduction of more technologically advanced tools in recent years, has played a significant role in improving the agency’s ability to secure the border. These tools include the Remote Video Surveillance Systems, which can be dispatched to urban areas at all times of the day, and Integrative Fix Towers equipped with radar arrays allowing for 360-degree real-time observation. 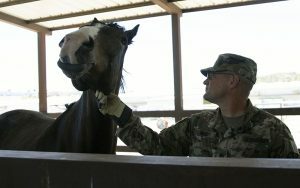 Other areas of collaborations include firearm training, maintenance of Border Patrol vehicles and the care of the horses agents occasionally ride to watch the border. Agent Stephanie Dixon of the Border Patrol said the biggest benefit of the extra manpower has been its boost to recruitment efforts at job events. Although the agency has made consistent efforts to attract agents, aspects of Border Patrol agent life – such as safety concerns, having to pass a rigorous background check and relocating to remote areas – still deter many people from joining. CBP agents said this particular challenge makes the collaboration between Border Patrol and the National Guard much more effective. Since the beginning of Operation Guardian Support, the agency has partnered with a private company that will analyze recruiting analytics to see where efforts will be most effective. As for what will happen when Operation Guardian Support ends Sept. 30, Hernandez wasn’t certain. “We’re going to do what we’ve always done and do the best we can with what we have,” he said.